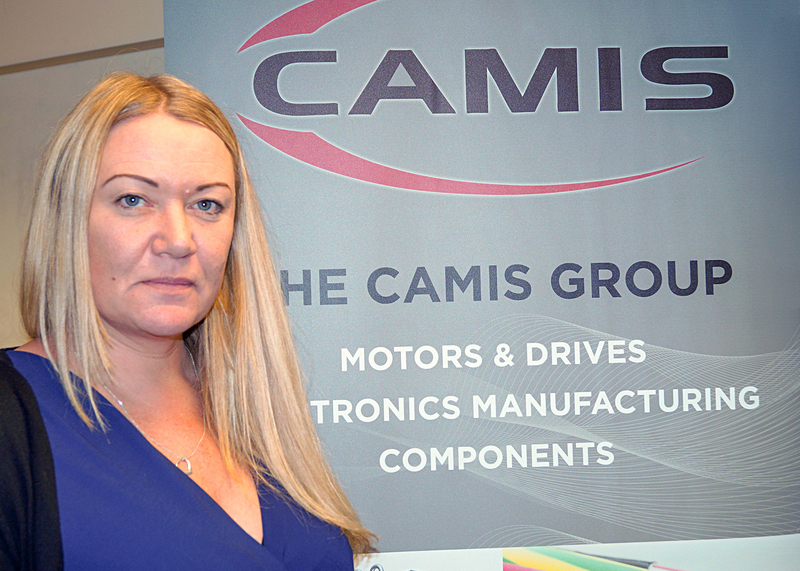 With an ongoing campaign to promote manufacturing in the Midlands, Camis offers diverse expertise and manufacturing capabilities from its base in Kingswinford. The motors and drives division is a leading distributor of specialist AC and DC electric motors while the electronics division offers design and sub-contract manufacturing for wiring looms, circuit boards and controls for a wide range of industrial applications. Thomas Marks, AEMT Secretary, looks at this remarkable member company and how its expertise is helping so many other manufacturers and businesses. Across the world electric motors deliver essential power to millions of processes and applications, form the smallest DC servo motor to massive high voltage, multi-megawatt motors on oil and gas platforms. In every case, selecting the most appropriate motor will have a significant impact on performance and reliability. 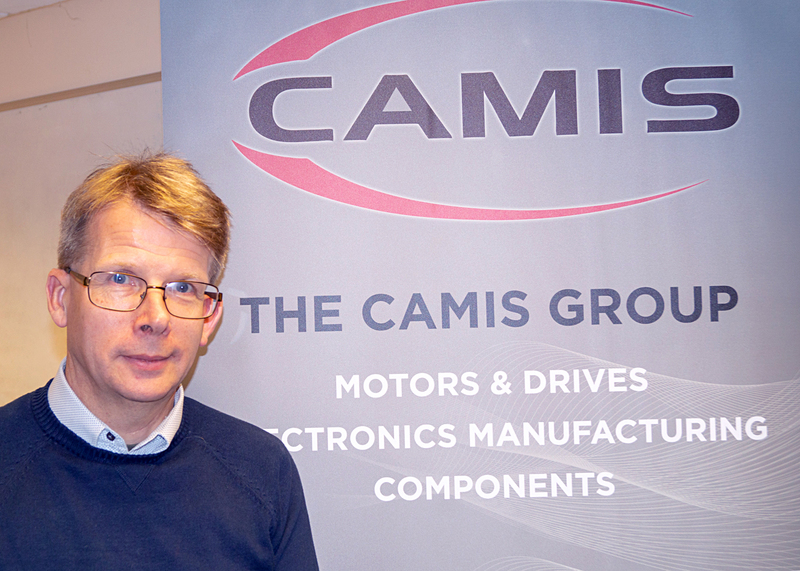 Camis Motors & Drives has several well-established relationships with principal manufacturers such as Winkelmann, Emod, Omec and Kaiser Morten. These enable the company to offer specialist motors for hazardous areas such as oil & gas platforms, mining applications and the marine sector. Camis Motors & Drives also works with OEMs to ensure their products deliver the dependability that is required. For example, a gas fired turbine requires a continuous lubrication supply for smooth operation. So, if the electrical supply to the plant - and hence the lubrication pump motors - is lost, there is a risk of significant damage to the gas turbine. The solution is a back-up motor that can be powered by an emergency battery supply and brought online within seconds. The challenge is for the motor to deliver 100 percent reliability in the unlikely event that it is required; the cost of failure is not just the price of the repairs to the turbine, but also the loss of revenue from the generator that remains offline during the repairs. Similarly, there are other applications in power stations that require critical service protection, such as flood pumps that need to operate underwater during a power outage. Camis is able to source IP68, DC motors that are capable of delivering this vital service and ensure that a temporary loss of power has no lasting effect on the plant. For those with equipment operating in potentially explosive atmospheres, there is a considerable amount of certification that must be complied with to ensure a safe working environment. Typically, the specification list for a motor for the offshore industry can be extensive – aside from the regulatory standards for flameproof or explosion proof design, the type of paint, various supply options and suitability for tropical climates can all add to the challenge of finding exactly the right motor. Camis also offers considerable expertise in DC motors, especially when it comes to creating a new installation. One of the most important aspects of a design is matching the resistors to the motors to ensure continued reliability in service. Camis can create a ‘plug & play’ cabinet that incorporates all of the required control circuits as well as matched resistors to provide the optimum solution. Camis Electronics is a leading manufacturer and distributor of engineering solutions, especially electronics products and wiring solutions. The company has its own in-house design expertise and engineering knowledge, capable of delivering mass-produced items as well as tailor-made, one-off concepts. At the heart of this division is the cable assembly and loom business, which offers design and sub-contract manufacturing. From the simplest single wire and connector to complex wiring looms and electronic control systems, Camis delivers high quality products on short lead times. Primarily working with the off-highway sector, security and catering equipment as well as water treatment plants and materials handling applications, Camis offers flexible manufacturing facilities that can be applied to a wide range of electrical and electronic challenges. Rob Burrows, technical manager, explains: “We work closely with our customers to develop exactly the right solution for their product. From custom circuit boards to building in-house test rigs for optimum quality control, we ensure that every aspect of the design is delivered on time. 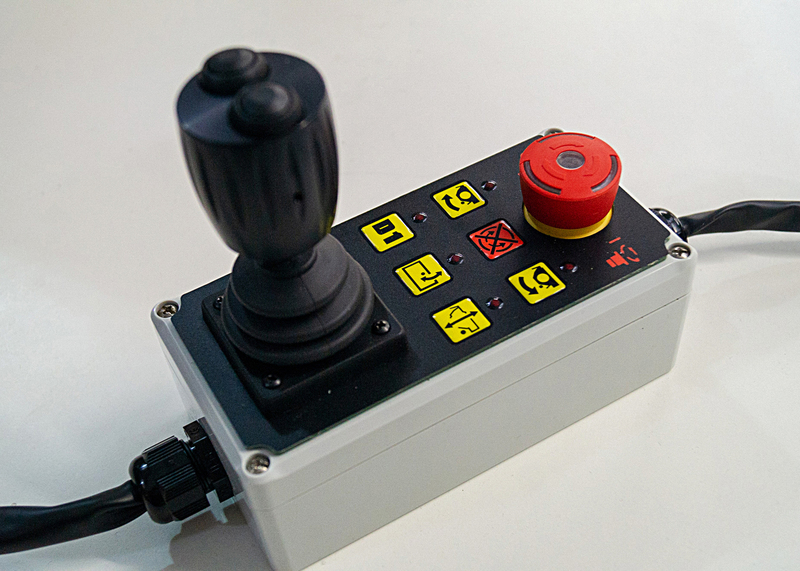 Camis also designs and manufactures wiring looms and electronic controls, such as joysticks for the off-highway sector. As a distributor for several major component manufacturers, such as Pepperl & Fuchs, Crouzet, Johnson Electric and Saia Burgess, Camis also offers cost-effective control solutions. By working closely with OEMs, the design engineers can quickly develop a concept into a prototype and, after successful testing, full production. 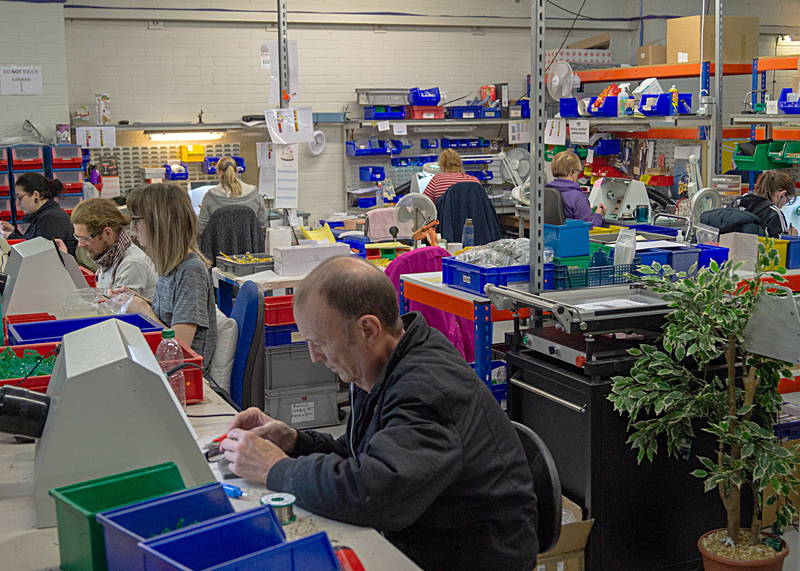 With capacity to deliver 40,000 looms per year, the production area has the flexibility to ensure delivery deadlines are met, with every loom being quality checked and tested before dispatch to the customer. One example of the company’s capability is a project to create a warning system for HGV drivers to ensure that their trailers are correctly coupled before they drive off. With so many products delivered by articulated lorries, drivers are repeatedly required to drop off one trailer and connect up to another. This is not just at the distribution hubs, but at ports and logistics centres around the country. Each time a trailer is coupled to the tractor unit, the king pin must be securely located in the fifth wheel and held in place by the locking bar. If, for any reason, this procedure is not completed correctly, there is a risk of the trailer dropping to the ground when the tractor unit pulls away. This can cause significant delays in delivery of the goods as well as serious damage to the trailer itself. Camis has been working with an OEM to develop an in-cab warning system for the driver to alert them to any part of the procedure that has not been completed correctly. The system involves a number of sensors, a basic processor and a warning light located in the cab. Having completed testing of the prototype system, Camis has created a production test rig that is being used to ensure perfect operation of every product. Today, orders are placed by the OEM for delivery to coincide with their build schedule. On a slightly larger scale, Camis was approached to see if it could create a system for cleaning the hydraulic oil from a tram. The operators were looking for a new piece of equipment that could reduce the time to half a day required to complete periodic maintenance, which currently stands at five days. The design brief asked for a mobile cleaning station that could evacuate the hydraulic system of the tram, clean the oil using filtration to a level of microns, check for cleanliness using laser refraction and then refill the hydraulic system. This process was to be repeated until all of the contamination has been removed from the hydraulic system. Timings were agreed with the tram operator and once the concept and the processes were signed-off, Camis’ design engineers started with component selection and designing the mobile cart that would accommodate all of the equipment. 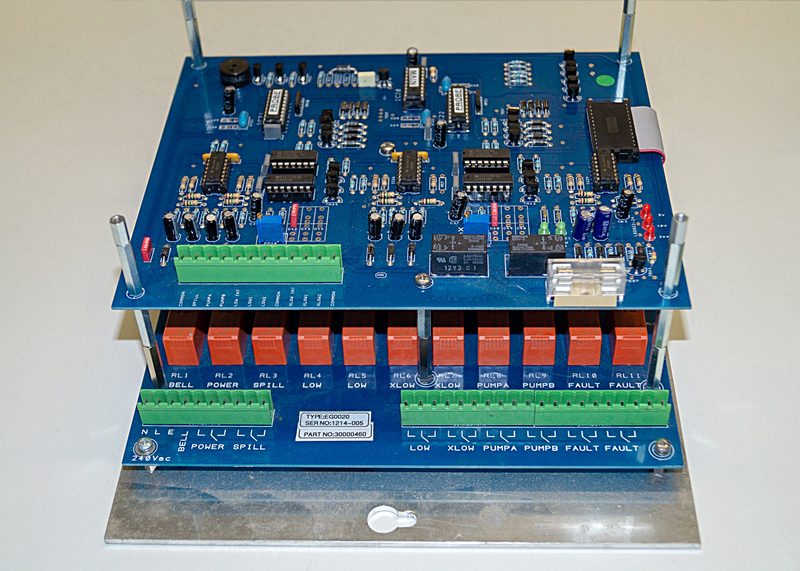 The design uses a series of both AC and DC motors to power hydraulic pumps, all controlled through an HMI and a number of contactors. The development process has taken a few months, but it is now coming to a close. The expectation is that the new hydraulic maintenance station will enable the oil cleaning process to be completed within half an hour, a considerable improvement on the current time. Rob Burrows concludes: “Having created the first unit of its type, we are looking at other applications for a similar maintenance trolley, such as dockside forklift trucks. Any machine that uses hydraulics can suffer from contaminated oil, which can cause premature wear in pumps and damage seals. Camis brings together a unique combination of expertise and knowledge that can be applied to a wide variety of applications. 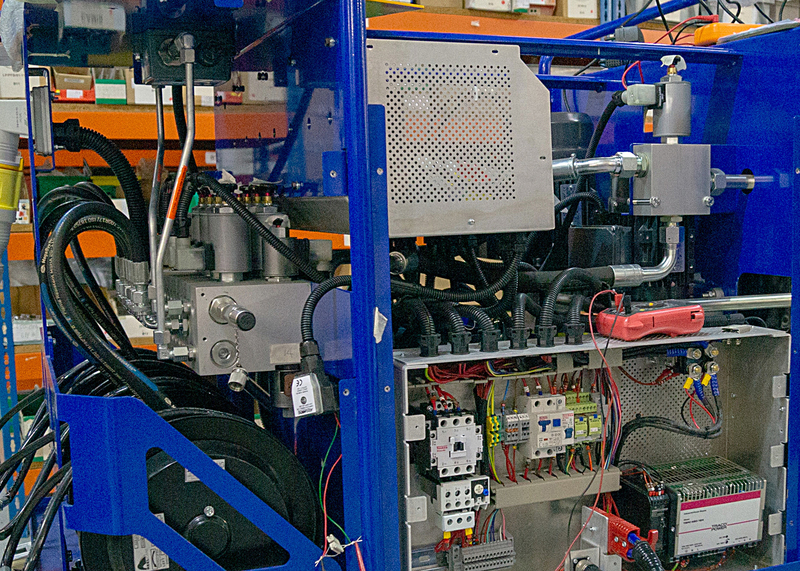 From specialist electric motors and controls to bespoke electronics and wiring looms, Camis has the breadth of understanding that is needed to ensure a successful project.